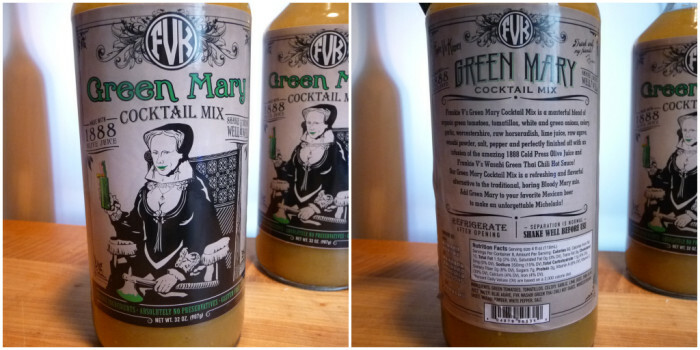 What better way to start the New Year’s reviews than with a Bloody Mary Mixer? 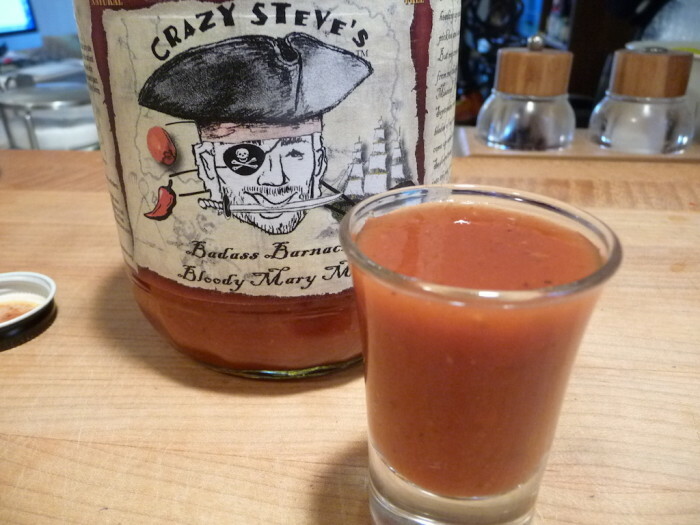 Crazy Steve’s Badass Barnacle Bloody Mary Mix is just what we need. Hey, it’s early 2014… Happy New Year! We’re still a little bit hungover from all of the Holiday festivities. How about you? 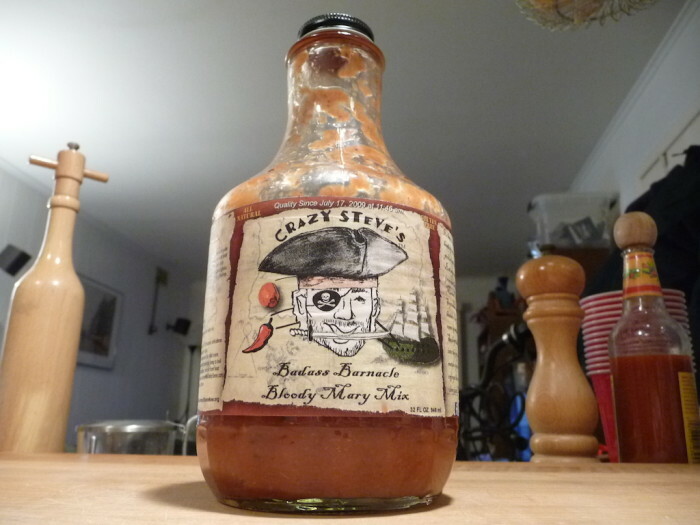 Steve Zielinski of Crazy Steve’s Pickles fame has created two Bloody Mary Mixes – Badass Barnacle and Ghost Ship. Let’s look at the Badass Barnacle today. And to make it all come together, we’ll look at his Crazy Steve’s Shot Over the Rim Spicy Bloody Mary Salt and Crazy Steve’s Cajun Cukes for garnishes. For starters, check out this giant glass bottle of 32 ounces (1 quart) of spicy goodness. Ingredients: water, tomato paste, red wine vinegar, cider vinegar, celery, onion, cucumber, sweet pepper, jalapeño, garlic, salt, spices. Texture & Appearance: Medium thick, this mixer really clings to the bottle and the glass. Impressive. Taste Straight Up: Fresh and fragrant – the celery and cucumber are really up front. 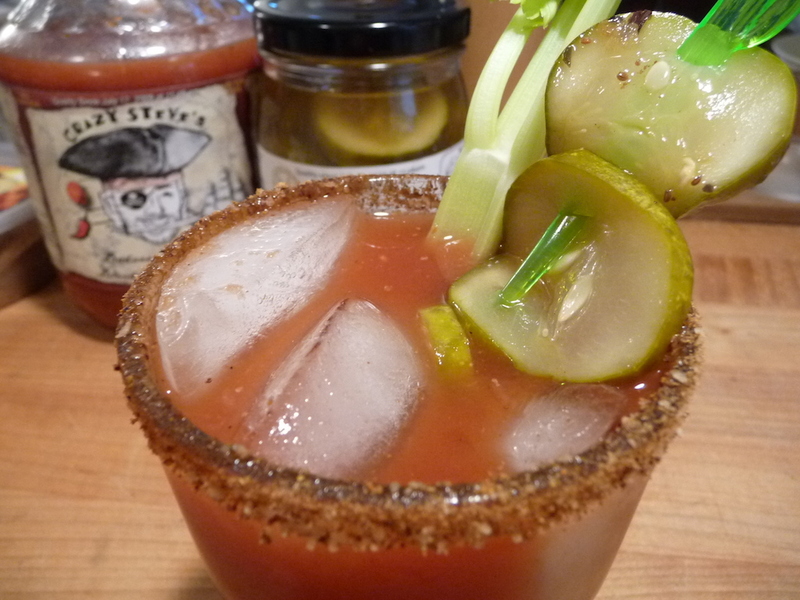 This is a Bloody Mary mix from a pickle guy! Just slightly spicy, it’s nothing like you’ve ever had before. Refreshing. Heat Level: – Mild, spicy and very approachable. Tantalizing. Shot Over the Rim Salt complements his Bloody Mary Mixers by providing a spicy, savory, salty mix to the rim of your glass. Packaged in a 6 ounce plastic tub. 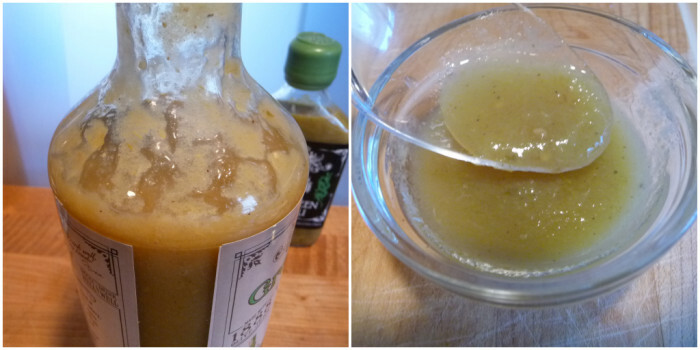 Simply rub the rim of your cocktail glass with a lime wedge or dredge in lime juice and then dredge the the glass in the seasoning. A great companion to the Bloody Mary Mixer from Steve that really makes the drink complete. 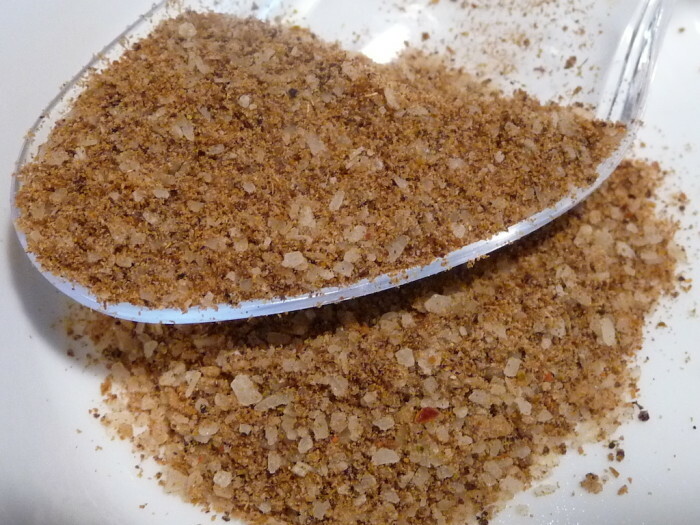 Ingredients: salt, red wine vinegar powder, chile powder, jalapeño powder, onion powder, cider vinegar powder, cumin, garlic powder, sweet pepper powder, paprika, ground celery, cayenne pepper, ground black pepper, spices. 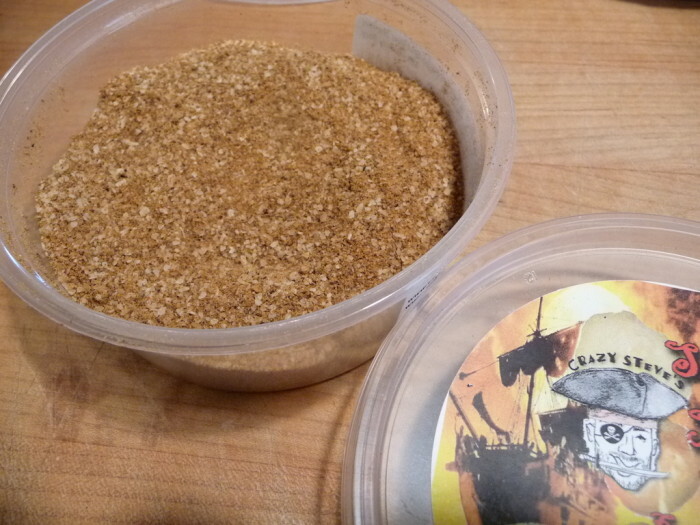 Texture & Appearance: Medium to small coarse ground seasoning. Colorful appearance. Nice addition to the cocktail and great alternative to the usual Old Bay seasoning. Taste Straight Up: Salty, savory, spicy. 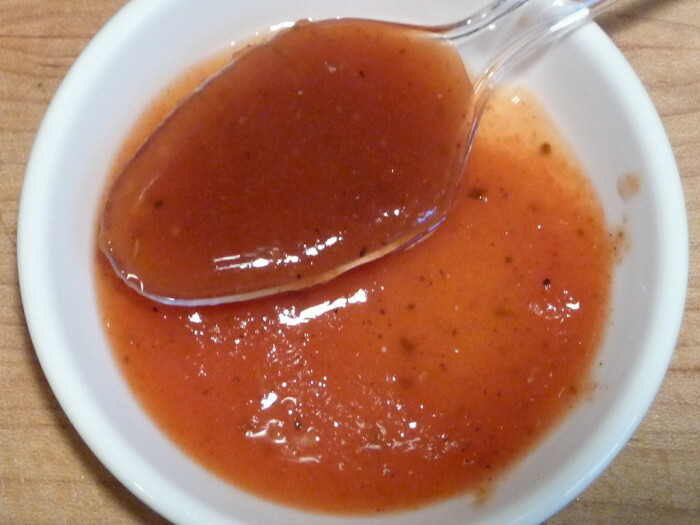 A nice blend of chile powders and spices. 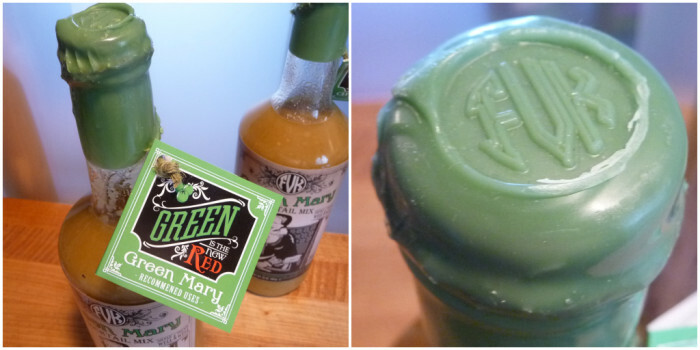 Heat Level: – Some spicy heat that complements the Bloody Mary Mix very well. Tame, yet adds some kick. A great pairing. Well done, Steve. 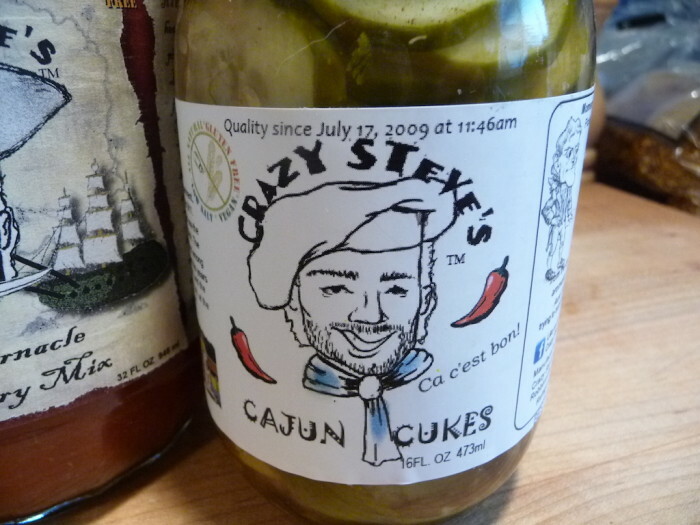 Rounding out this trio of a Crazy Steve’s Pickles Bloody Mary are his Cajun Cukes. Here’s where we part ways. I’ve never been a fan of cukes in my Bloody Marys. And if I did add one, it would be a Kosher Spear style. 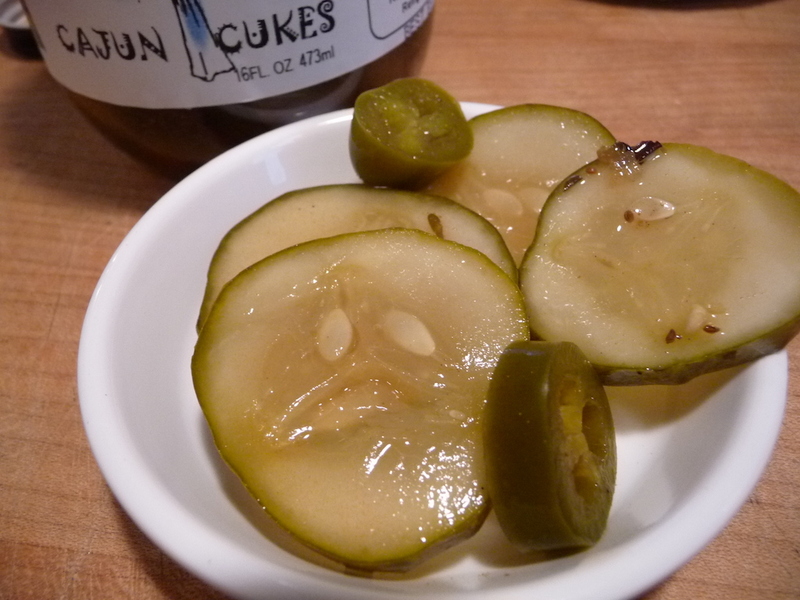 Steve provided us with some Cajun Cukes sliced pickles. Ingredients: cucumbers, water, red wine vinegar, cider vinegar, salt, jalapeño pepper, red onion, sweet peppers, celery, garlic, thyme, spices. Texture, Appearance & Flavor: These sliced pickle chips are only slightly spicy, but they do have that “cajun” flavor – albeit a mild dose. 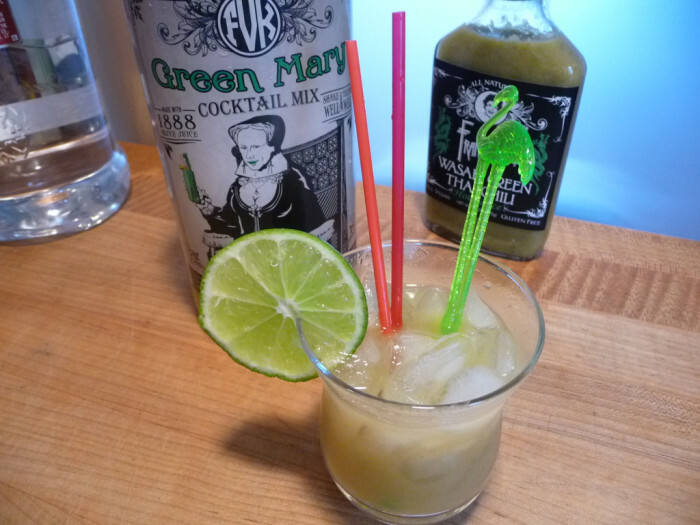 And they are sliced pickles… in my mind, just a bit hard to “spear” and incorporate into the drink. Overall: – Super cool and refreshing all on its own… straight up that is. 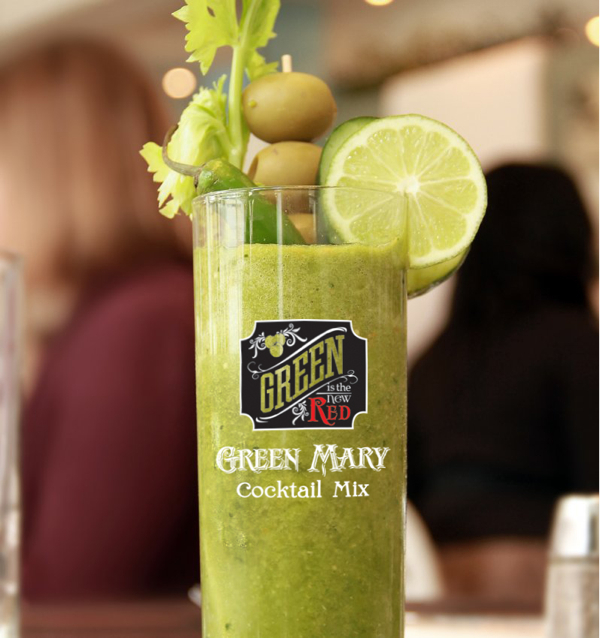 Add your favorite adult beverage (vodka or tequila) and wow, this is not your Mama’s Bloody Mary! 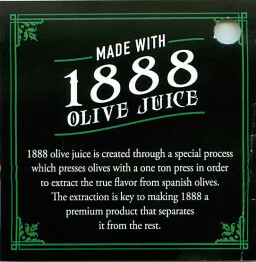 Paired with his Shot Over the Rim salt, pickles and olives and this is the Breakfast Drink of Kings. Ok, that’s a bit much, but it’s really scrumptious (yea, I just used that word) and makes for a most unusual but savory cocktail. Satisfying. In July 2009 Steve started making pickles and salsa from the abundance of their home garden. It was a big hit with family, friends, and co-workers. This was the birth of Crazy Steve’s Pickles and Salsa. 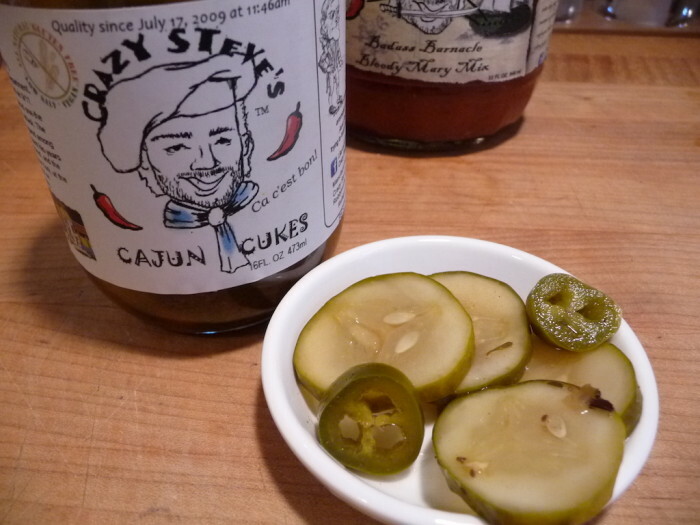 Social Media: You can follow Crazy Steve’s Pickles on Facebook and Twitter. 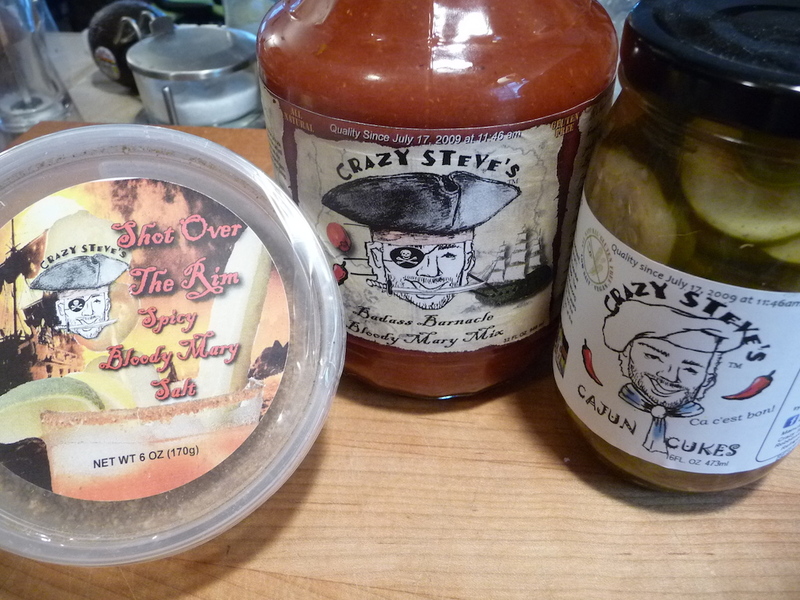 Where to buy: Crazy Steve’s Pickles products can be found in NJ, PA, DE and MD currently. His website also has a Store Locator, simply enter your ZIP Code for a list of stores. Visit http://www.crazystevespickles.com/ to find a store near you, or to order directly online.